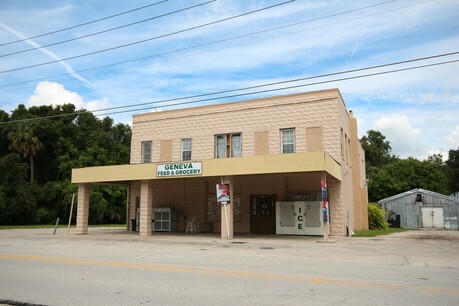 Geneva is an unincorporated rural community in northeast Seminole County located about 15 miles east of Sanford and 8 miles north of Oviedo. Geneva has a rich history and it's rural character will be preserved because of a natural wonder known as the Geneva Bubble. The Geneva Bubble is a 22 square mile shallow bubble of fresh water sitting atop salt water which supplies drinking water to about 5,000 residents. 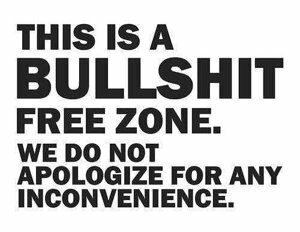 Dense development would result in destruction of the bubble so most homes sit on large pieces of acreage. 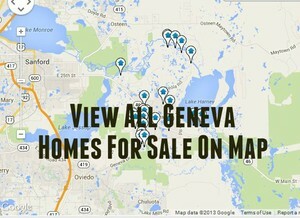 Click the blue button to view all Geneva, FL homes for sale. Geneva is the perfect place for those wanting a country lifestyle, yet within 15 minutes of suburban conveniences. Geneva is home to the Seminole Woods development, a gated community with 262 five acre lots with miles of equestrian trails. Geneva has its own A-rated elementary school, and middle and high school students are bused into Oviedo.